If you are a food blogger who runs a recipe blog, then at some point you will adapt a recipe from Dorie Greenspan. I mean, how can you not? When it comes to all things sweet and fluffy and chocolatey, she is the one to go to. And I do believe it’s rather fashionable to try out Dorie’s recipes. I have wanted to make something sweet for a while now, but since my baking skills need to be kneaded into shape, (Wham! Double-decker bad pun!) I wanted a simple no-bake recipe that used chocolate. And I found this little gem on Dorie’s site. 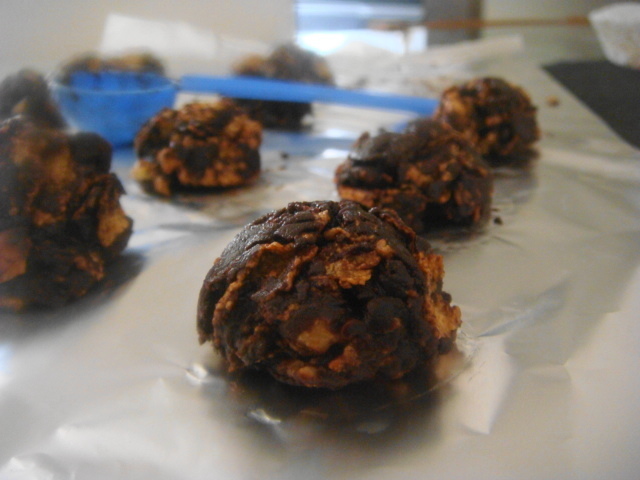 My version of Dorie’s chocolate crunchies! 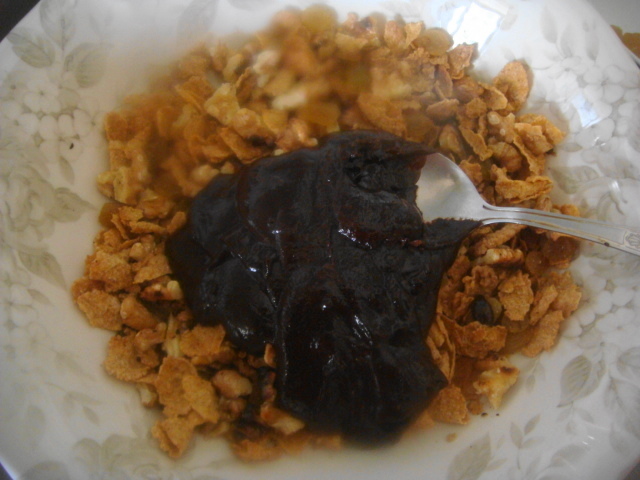 Chocolate crunchies are so easy that it would be rather difficult to screw them up. Serioulsy. And I told myself that if I did mess it up, then I’m not worthy of eating chocolate. I changed the recipe around a little bit and added more chocolate. I mixed everything together with melted semi-sweet dark chocolate first, and once it cooled, dipped the mounds of candy mixture into melted milk chocolate. 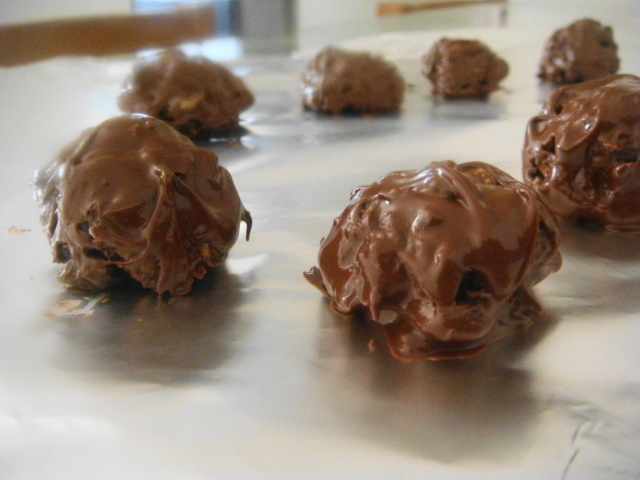 (Hence the title of ‘double’ chocolate crunchies.) In one bite, you get several rich flavours: creamy milk chocolate, the denser dark chocolate, and a hint of a smoky taste with the toasted walnuts. 1) Finely chop the nuts and toss them into a bowl along with the raisins and corn flakes. 2) Gently melt the dark chocolate chips in the top of a double boiler or in a microwave oven on low power. 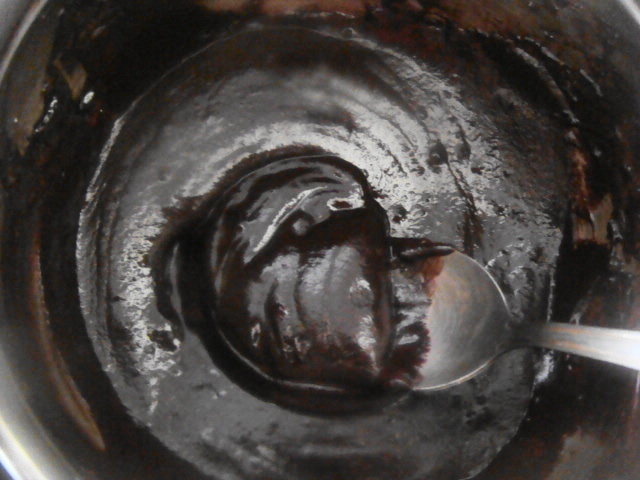 Pour the chocolate into the bowl and stir until all of the ingredients are evenly coated. 3) Drop mounds of the candy mixture onto waxed paper or foil. You can use a cookie scoop or teaspoon for this. Allow to cool. 4) Next, gently melt the milk chocolate chips. 5) Coat the cooled candy mounds with the melted milk chocolate- you can use a wooden spoon or just dip them into the melted chocolate. Once cool, place the candy mounds on paper petit-four cups or onto a sheet of wax paper. Chill for at least one hour before serving. This candy is very simple to make, and sooo good! And you don’t even need phancy ingredients. Just some good quality chocolate, and the rest of the stuff will not be difficult to come by at all. I didn’t have petit-fours cups so I popped two pieces into a cupcake liner instead! Are any of you fans of Ms Greenspan? Thank you frugal! Chocolate and walnuts are such a great combination…I think they may replace my favourite combo of chocolate and hazelnuts. I think I shall also make chocolates for Christmas and send them out. Here in India the festive season starts by October and goes on till New Year’s eve…so lots of sweet and savoury goodies do the rounds! Oh wow, thanks for sharing this. 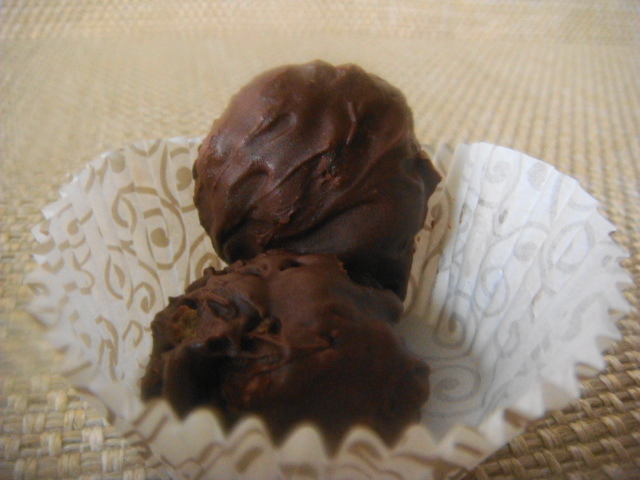 I’m posting a recipe for truffles in a couple of days – they were amazing. I’m making everyone chocolates for Christmas too, I can’t wait to make them all.